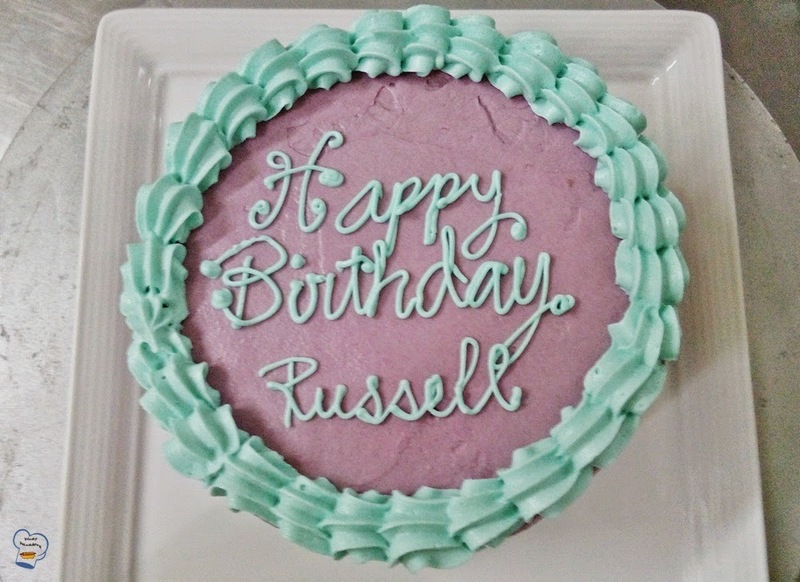 I frequently deal with last minute cake requests for both the staff and guests birthdays. Unless I am told about the cake's specifics, I always use a recipe which I could whip up in no time which is why I stick to my tried and tested vanilla chiffon cake. All I need to do is separate the eggs. Whip the egg yolk with half the amount of sugar. Mix the flour mixture with the egg yolk mixture. Stir in the water and oil, and lastly fold in the meringue. I pop it in the oven for 40-45 minutes until done. I use fresh butter cream as well. In times like this, the classic butter cream frosting is my go-to icing as it is quick and easy to make compared to others. While the cake is baking in the oven, I dump the icing sugar and butter in the bowl of an electric mixer, mix them until they are well blended. I add vanilla and whipping cream. Mix it some more and voila! A delicious, fluffy vanilla frosting. I usually make colorful cakes to make them attractive. 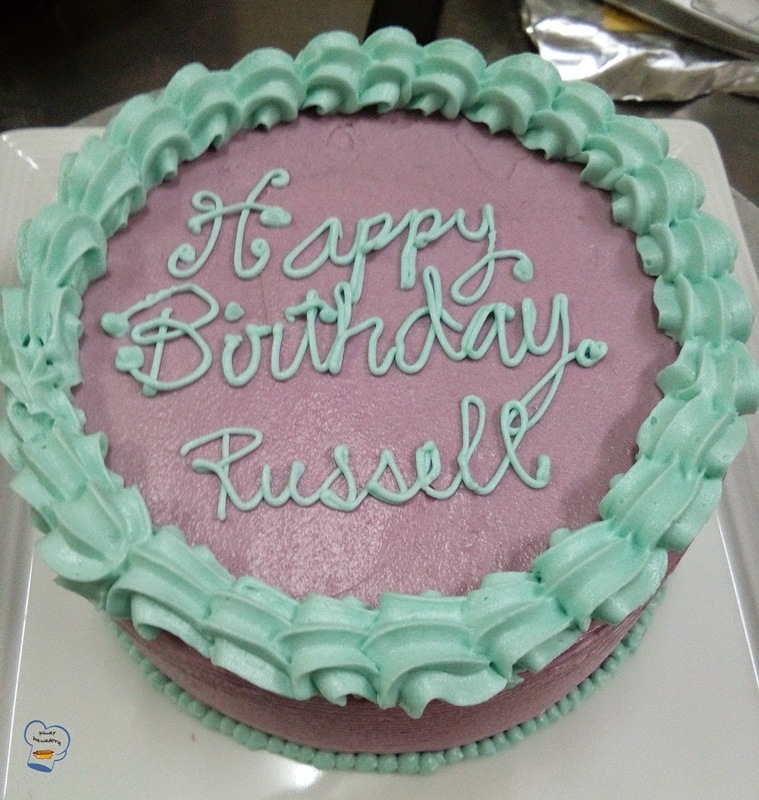 Almost always, I get to decide what color to tint my frosting! How I enjoy my freedom!